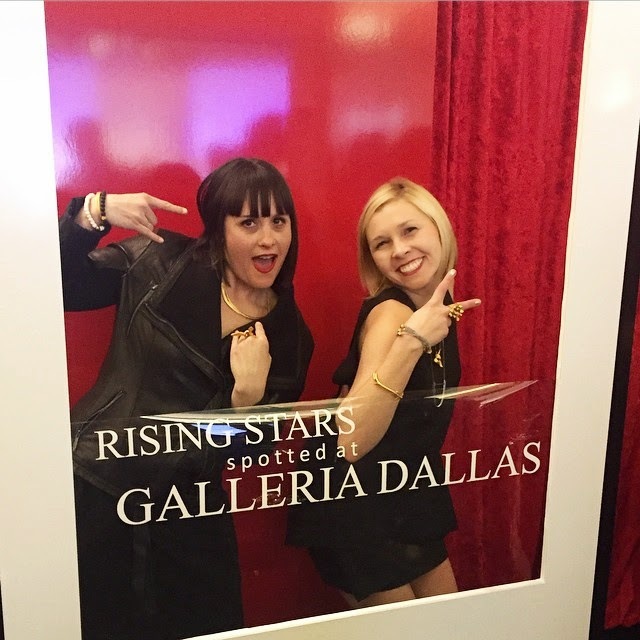 We were so honored to be nominated as a Rising Star from the Fashion Group International. Thanks for the awesome party. Here are a couple recaps from the night. YAY! 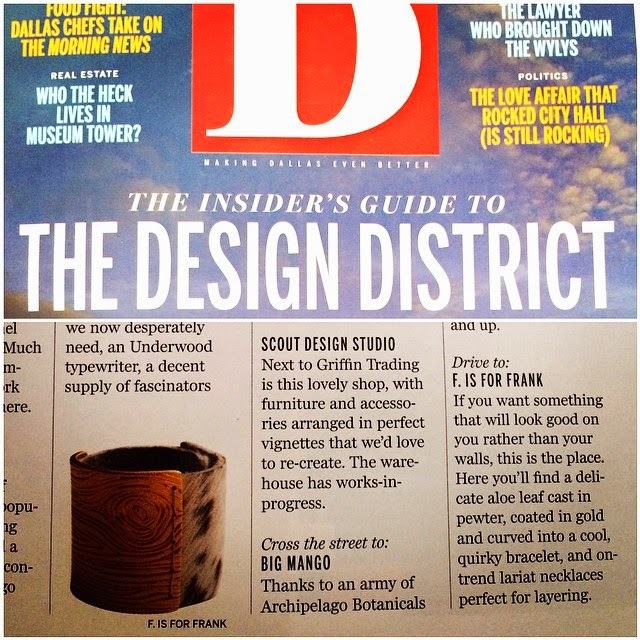 We are so excited to be feature in D magazine, the Design District January 2015 issue as one the places to visit when shopping the Dallas' Design District. 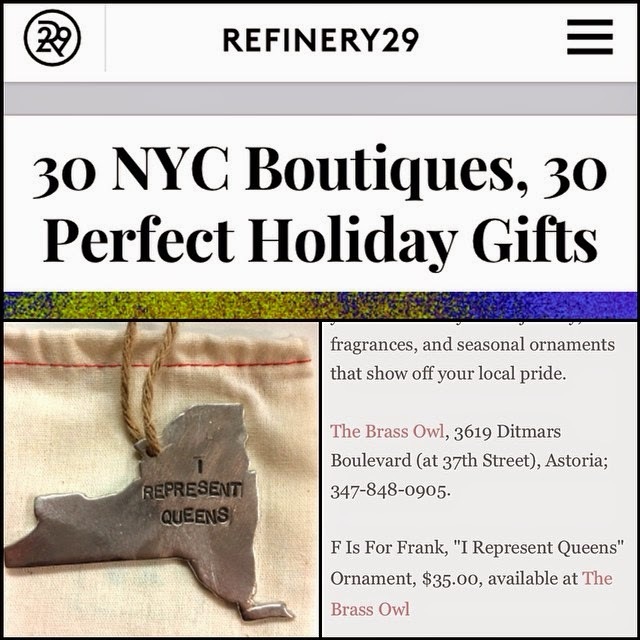 We are so honored our "I REPRESENT QUEENS" NY Ornament is featured in Refinery 29's gift guide. The ornaments are exclusively sold at The Brass Owl (the cutest boutique in Astoria NY). Thank you D Magazine Shopping Blog for listing us of one of Dallas' top 5 places to shop for the best statement jewelry. Statement jewelry is definitely our favorite thing to design, make and create. 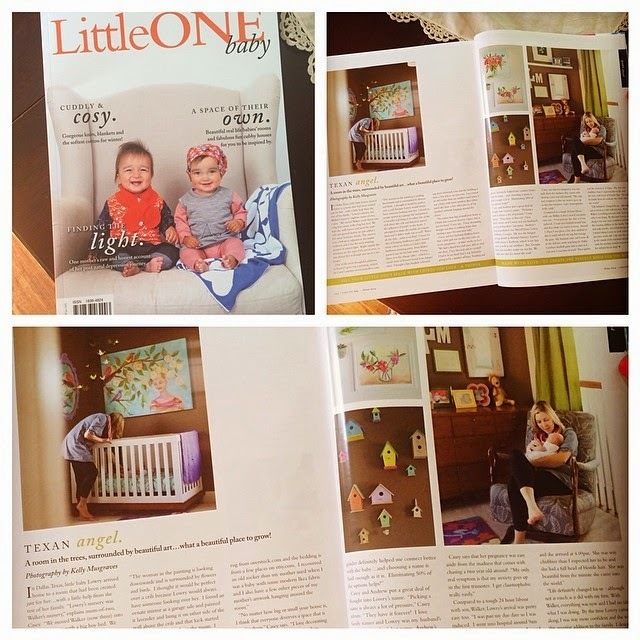 In love with this article by the Australian publication, Little Ones Magazine about Casey's daughter, Lowry and her beautifully designed nursery. Thank you Kelly Christine Musgrave for capturing such beautiful pictures. 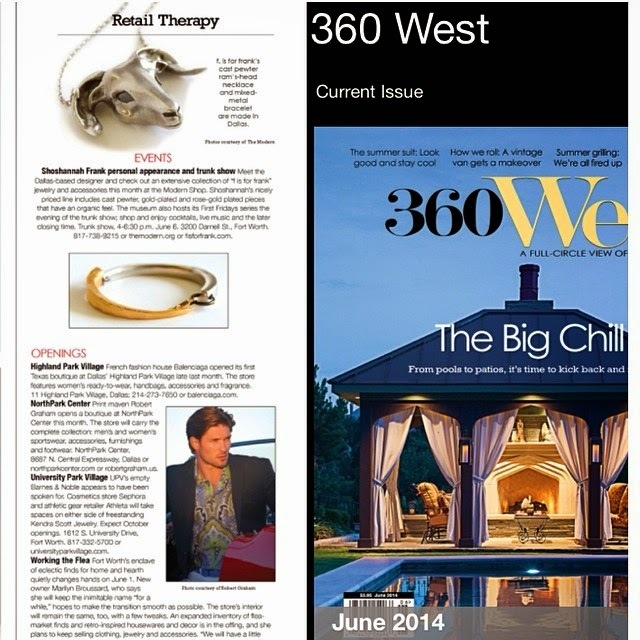 Thanks 360 West Magazine for spreading the word about f. is for frank and the amazing trunk show we will be having at the Modern Shop inside the Modern Art Museum of Ft. Worth. 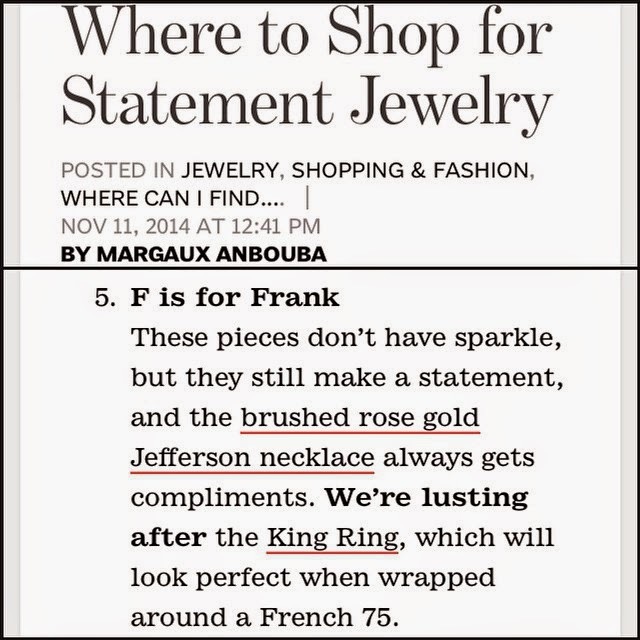 f. is for frank Rose Gold Jefferson Ring in eide' magazine via Custard Boutique in Savannah, GA.